Blowroom, cards, draw frames, roving frames, ringspinning and O.E. 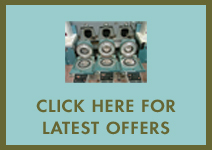 rotorspinning machines, winders, etc. Completely new original spare parts, as well as used special spinning components such as complete spin boxes, rotors, combing rollers, inserts, and separators, among others. Rapier and air-jet weaving looms. Complete equipment for the weaving process. 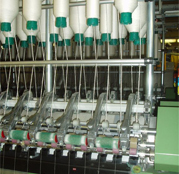 Hosiery machines (Uniplet and other brands). Finishing and dyeing equipment.